Country music singer and activist for Alzheimer’s, Debby Campbell was born in Albuquerque, New Mexico in 1956 to Diane Kirk and Glen Travis Campbell. She is the eldest of 8 children and the daughter of the most famous “Rhinestone Cowboy” Glen Campbell. Debby loved singing from an early age and spent many summers with her dad on tour, and in the television studios with his Glen Campbell Goodtime Hour television show.Debby graduated high school in England living with her mom and step-dad Jack, while her step-dad was in the Air Force. Her dad, Glen became a world sensation, and would perform in England and send for Debby so she could spend time with him.In her early 20’s, Debby married and became a mother of 3, two boys and a girl. She lived in Italy, and the US during this time and currently loves being a grandmother to 4 grandchildren and 1 great-grand child.In the mid 80’s Debby became a flight attendant and today, remains flying international as well as domestic.In 1987 Debby became part of her dads show on tour as a featured singer, along with her full time job as a flight attendant. She toured and traveled with the Glen Campbell show for 24 years, which included travels to Europe, Australia, New Zealand, Tasmania and Bermuda and so many more. 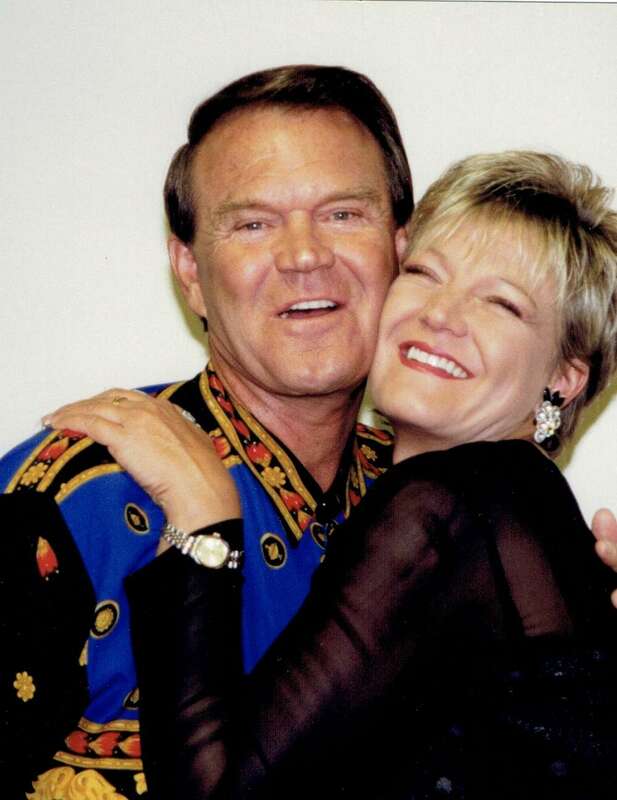 Many of the Glen Campbell fans became loyal fans & friends of Debby’s and she has remained friends with them today.Her appreciation for Country music landed her with her own show in Branson, Missouri at the Roy Clark Theatre in the early 90’s. She continued her career as a featured singer at the Grand Palace with her dad and then on to her Dad’s Theatre –The Glen Campbell Goodtime Theatre and ending with a residency at the Andy Williams Moon River Theatre. Debby’s bragging rights include hosting the Jerry Lewis MDA Telethon, performances at the Grand Ole Opry, opened for greats and Grammy Award artist such as Charlie Daniels, Jerry Reed, Eddie Rabbit, Colin Raye, and performing the National Anthem for the National Finals Rodeo in Las Vegas. She is an author of her recently released book titled “Life with My Father Glen Campbell”. She has also been credited with recording duets with her dad on “United We Stand”, “Let It Be Me”, and “Little Green Apples” and on multiple recording of Glen’s “Live with South Dakota Symphony” on CD and DVD. As Glen recorded some of his final music, Debby was instrumental on background vocals. Debby’s latest project is the release of her new music in dedication to her Dad’s memory with the release scheduled in April 2018. Debby is active with the Alzheimer’s cause and finds time for her first priority, family and friends. She golfs, enjoys bowling, travel and of course singing.